It’s not often I can say that Monday is my favourite day of the week (as Bob Geldof says, I don’t like Mondays) but this week was an exception thanks to the inaugural Social Media Forum. 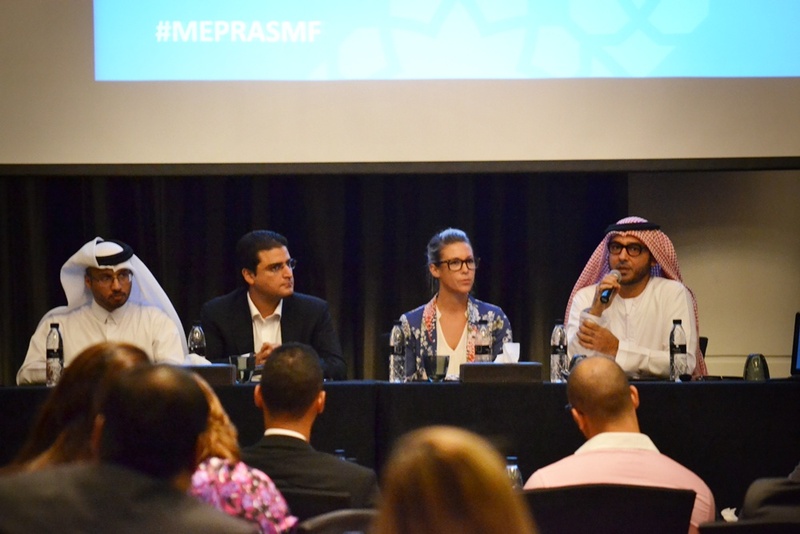 Arranged by the Middle East Public Relations Association, the event brought together some of the world’s largest social media names present in the Gulf including Facebook and Twitter’s local agency Connect Ads to talk shop about what’s happening in the social media world. And by the looks of it we’re addicted to social media. The latest stats from Twitter are stunning; there’s now six and a half million active users of the social media channel in Saudi Arabia (active users are those who use their account on a daily basis), which represents a growth of 500 percent over last year’s numbers. In the UAE there’s 1.5 million users. But the highest percentage of Twitter users to a population is in Kuwait, where one in three people – one in three million – use the service on a daily basis. 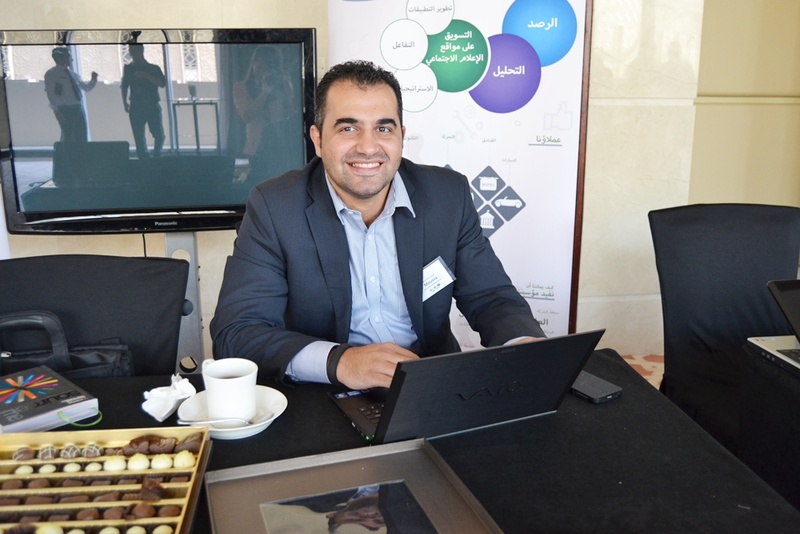 While Facebook’s spokesperson didn’t reveal updated numbers about users in the Gulf region usage trends have changed thanks in part to widespread adoption of smartphones and broadband wireless networks such as 3G and 4G. The average user will check Facebook 11 times a day, up from 3 or 4 times, partly thanks to Facebook’s latest mobile applications. Sixty percent of Twitter users in the Middle East and North Africa are now using the service while watching television (the logical question would be, where are you advertisers and why are you not taking advantage of this?). 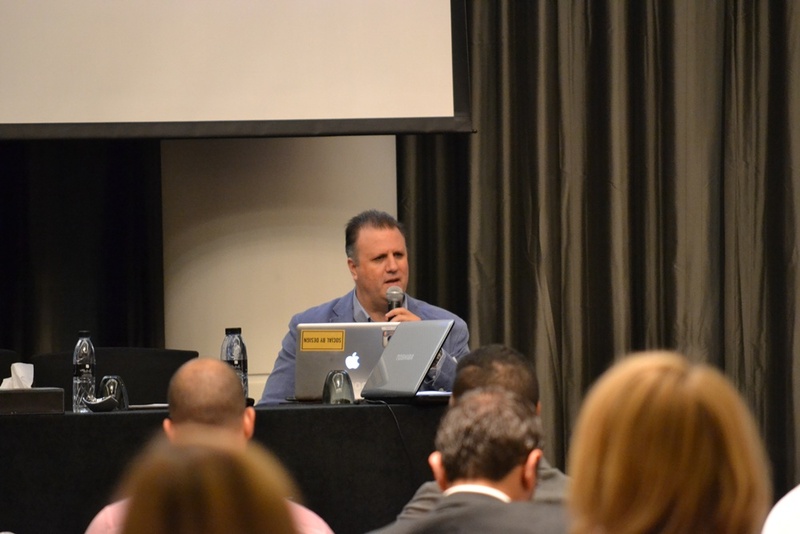 The good news would seem to be that (some) clients are now understanding social media is more than just followers, likes and retweets according to the head of analysis agency Social Eyez. 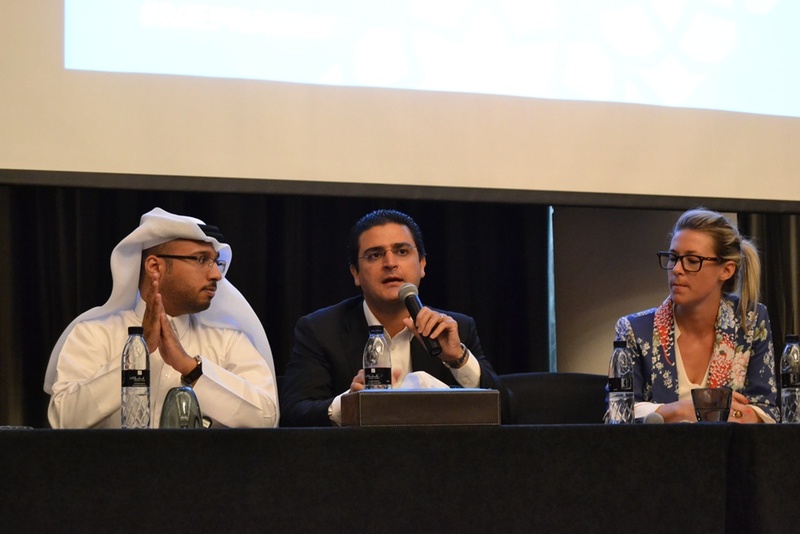 One speaker at the event, the corporate communications manager for the Qatar Foundation, told the audience that a sixty hour social media activation with FC Barcelona using Twitter drove global brand awareness by upwards of 20 percent. This goal would have been unachievable with conventional media without an eight figure marketing budget. Social media has changed both marketing and communications completely, and long may our love of tweeting and posting continue in the Gulf. 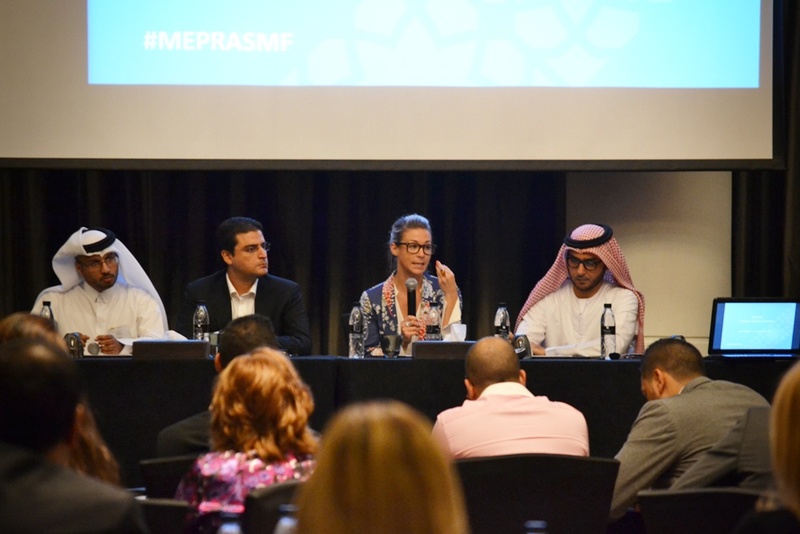 If you’re interesting in seeing the best practice presentations from the event you can download the Facebook Middle East Public Relations Association Presentation here and the Twitter Social Media Forum Presentation here. 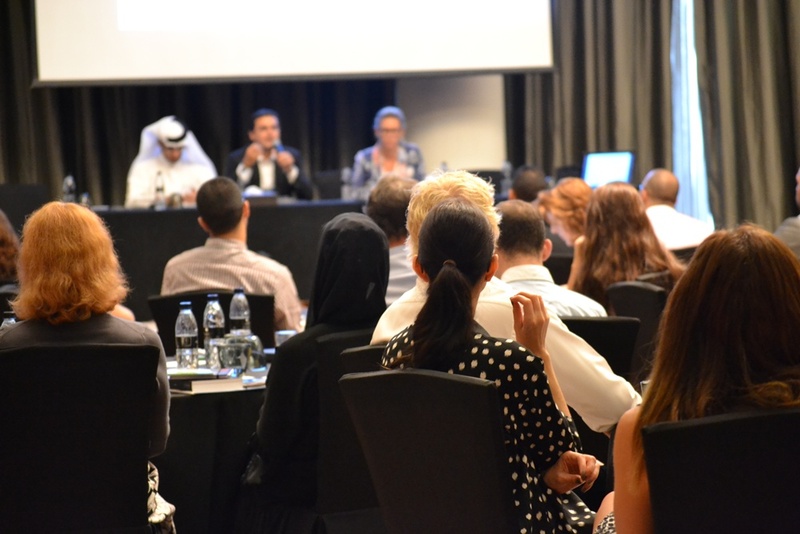 MEPRA will be holding more events on social media soon, including with the Social Media Club in Bahrain and other areas of the region. For a glimpse of the event have a peek at some of the pictures below. This entry was posted in Marketing, Public Relations, Social Media, United Arab Emirates and tagged Connect Ads, dialogue, engagement, facebook, MEPRA, Middle EAST Public Relations Association, Social Eyez, social media, Social Media Forum, the Gulf, the Qatar Foundation, the Social Media Club, twitter, Wild Peeta by alexofarabia. Bookmark the permalink.